Hollywood is considered to be one of the biggest entertainment industries in the world. The movies are not only supported by huge budgets and high level of technology. But also includes actors of the finest class. 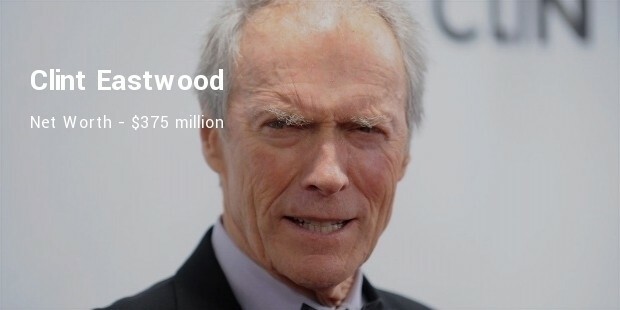 These highly talented actors are also filthy rich due to the wealth accumulation done through the amount of work they have done over the years. 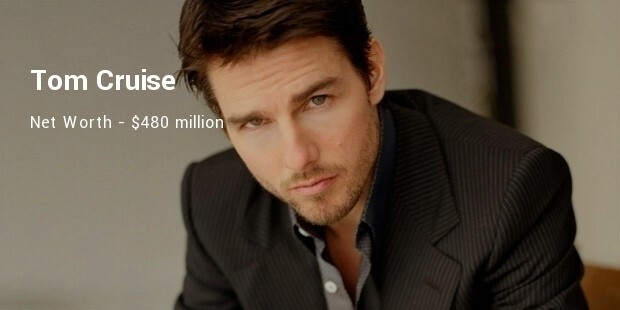 Here we are briefing about the Top 10 richest male actors in Hollywood. 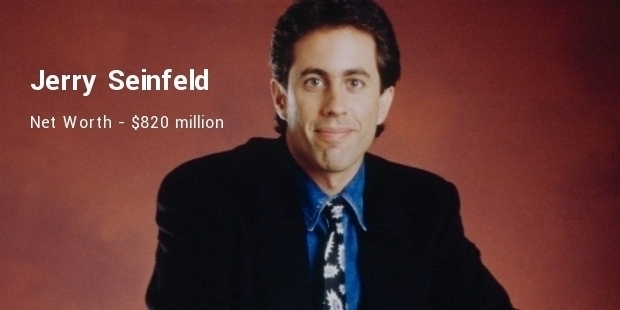 Jerome Allen “Jerry” Seinfeld is an American born writer, comedian and actor.He is a famous television celeb who got popularity from the sitcom ‘Seinfeld’. In 2005 Comedy Central named him the 12th-greatest stand-up comedian of all time. Tom Cruise is an American born actor who is famous for his role in the Mission Impossible Series, Top Gun, Tropic Thunder. He owns a real estate name ‘Beverly Hills Mansion in California. Started his career at age of 19 in the film Endless Love(1981) and went on to bag 3 Golden Globe awards & being nominated for three Academy Awards. He is an American born actor, producer, director, author, screenwriter and songwriter. He gained popularity from television series, stage projects and appearances in several movies. 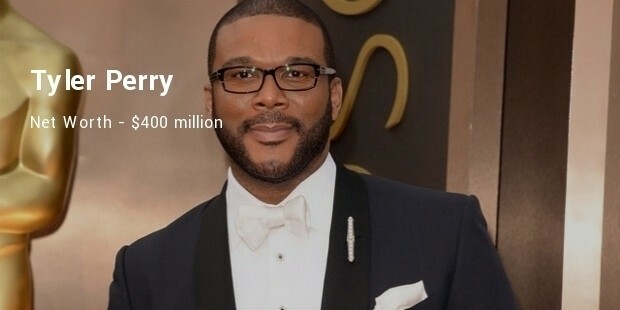 Perry was known to struck an exclusive multi-year partnership with Oprah Winfrey and her Oprah Winfrey Network in the year 2012. Johnny Depp is an American born actor who is famous for his unusual roles in Edward Scissor hands, Charlie and The Chocolate Factory and the famous Pirates of the Caribbean series. He has been listed in the 2012 Guinness World Records as the highest paid actor & has been inducted as a Disney Legend in 2015. Bill Cosby is an American born actor, comedian. He is popularly known for his sitcom The Bill Cosby Show, The Cosby Show and several others. He won 7 Grammy awards for his comedy albums. This American actor and filmmaker, have performed for nearly 60 years and is known for his challenging roles which have psychopathic and comedy characters. He is known for playing The Joker in the movie Batman. 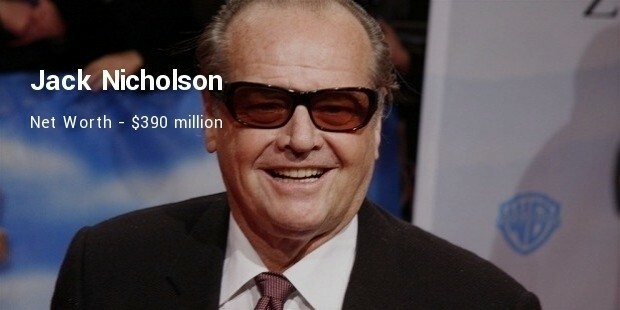 Nicholson is one of only two actors to be nominated for an Academy Award for acting in every decade from the 1960s to the 2000s. He is an American born actor, director, producer, musician and politician. He is famous around the globe for playing roles related to the Cowboys and Outlaws. 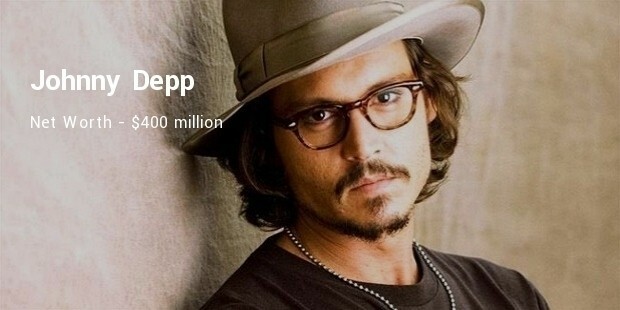 He is considered as a Legend in Hollywood. This American born actor, screenwriter, producer and director is best known for his roles in movies like Da Vinci Code, Catch Me If You Can, Apollo 13, Cast Away and Forest Gump. 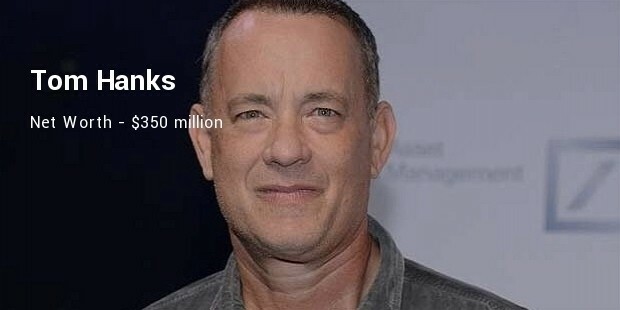 As of 2015, Hanks' films have grossed more than $4.3 billion at U.S. and Canadian box offices and more than $8.4 billion worldwide. American born actor, comedian, screenwriter, film producer, and musician is considered to be one of the most remarkable actors of all time. 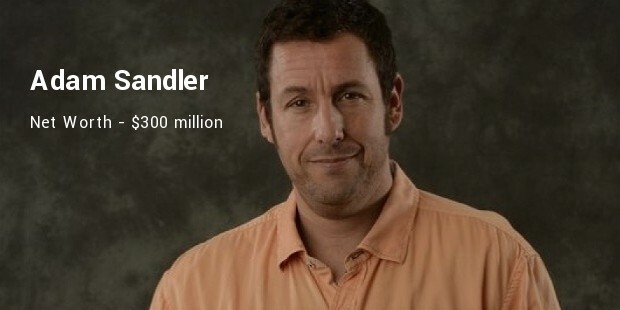 He is best known for his roles in The Water Boy, Grown Ups. He shot to fame with the film Water Boy. 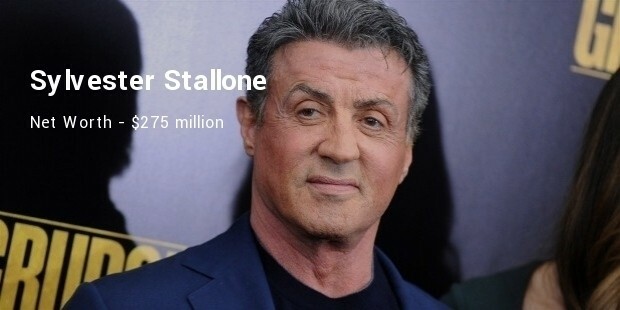 This American actor, screenwriter, producer, and director is well known for his Hollywood action roles, particularly boxer Rocky Balboa, the title character of the Rocky series' seven films from 1976 to 2015. His role in Rambo franchise is equally popular & famous. He wrote/co-wrote almost 14 films in his career. While being in that list is a prestige factor, being treated as ultra-high net worth individual. But reaching there and achieving it is not that easy. It takes immense hard work & consistency in performance to remain in the top list. These actors have been casted across various genres of movies, accepting challenging roles, winning highest honours in the industry and thereby entertaining huge audiences worldwide & the result of which is a great fortune.